Cops are investigating a Saturday night shooting in Surrey that left one man dead and another in hospital. Police responded to a report of shots fired shortly after 10:15 p.m. Saturday night in the 14300 block of 90A Avenue, according to a release from the Surrey RCMP. The officers who responded found two men in their late 20s suffering from gun shot wounds, and they were transported to hospital by ambulance. By Sunday morning, one of the men had died. The Integrated Homicide Investigation Team is investigating the incident, which they called a “targeted attack,” they announced via Twitter Sunday morning. Police were trying to complete next-of-kin notification before the identity of the deceased was released, the IHIT statement said. One neighbour said her family heard shots ring out and saw a vehicle speeding away from the house next-door. “We were terrified of what just happened,” said the woman who did not want her name published. The two people injured could be seen at the driveway, she said. One of them lived in the house. “We’ve seen some of them around,” she said, adding the family are nice people and respectful neighbours. Another neighbour Jagjot Atwal wasn’t home when the shooting occurred. He said it was the first such incident in the neighbourhood in the five years he’s lived there. Surrey has seen a rash of gun violence in 2016, with more than 45 shootings so far this year in the city. Karen Reid Sidhu, executive director of the Surrey Crime Prevention Society, praised the work of local police, but said the country’s legal system seems to allow violent, dangerous offenders to keep returning to the streets after being caught and convicted in some cases. “I think maybe our judicial system needs to be revisited,” she said. Anyone with information is asked to call the IHIT tipline at 1-877-551-4448, or call Crime Stoppers at 1-800-222-8477. Abbotsford: bPolice in Abbotsford responded to shooting on Saturday, July 23, 2016 at 2:10 am in the area of Blue Jay Street and Cardinal Avenue. Several 911 calls reported both shots fired and a single vehicle crash. APD Patrol Division officers and Emergency Response Team members arrived on scene and located a 23-year-old man inside a Cadillac Escalade with gunshot wounds. The man was transported to hospital where he remains and is receiving treatment for serious injuries. The vehicle he was driving collided with a power pole and went off the roadway prior to police arrival. APD Major Crime detectives, Forensic Identification Unit members, Collision Reconstructionists and Patrol Division members continue to investigate and roads in the area will be closed for several hours. The public is being asked to use alternate routes. Surrey RCMP advises that a number of arrests have been made of individuals alleged to be involved in ongoing drug trafficking operations in Surrey and Richmond . On May 25th Surrey RCMP’s Drug Unit arrested eight individuals simultaneously at multiple locations throughout Surrey. The arrests were in relation to an ongoing investigation that began last year into a dial-a-dope drug trafficking operation in Surrey and Richmond. Evidence consistent with street level drug trafficking including cash, phones, and varying amounts of controlled substances were located during the course of this initial investigation. Four of the individuals arrested were wanted on outstanding warrants for drug trafficking, while the remaining four individuals will be facing a number of drug related charges. These arrests are part of the Surrey RCMP’s proactive enforcement strategy aimed at targeting individuals involved in the drug trade and the threat it brings to public safety. Following a spate of violence last spring tied to the low-level drug trade, the Surrey RCMP launched a concentrated effort to arrest those involved in drug trafficking in Surrey. Anyone with further information on the activities of these individuals is asked to contact the Surrey RCMP at 604-599-0502 or Crime Stoppers, if they wish to remain anonymous, at 1-800-222-TIPS or go to www.solvecrime.ca. 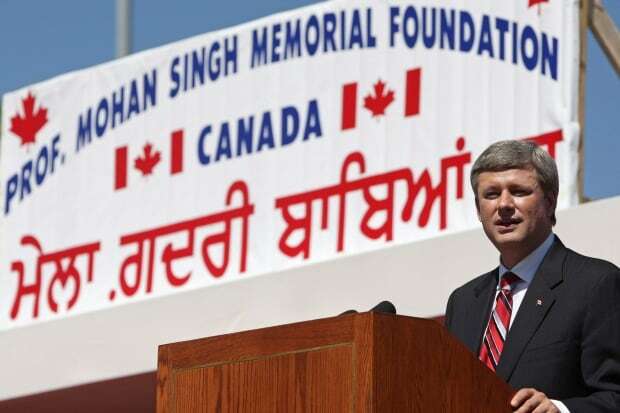 Ottawa (May 18, 2016): The World Sikh Organization of Canada welcomes today’s apology by Prime Minister Justin Trudeau on behalf of the Government of Canada for the Canadian Government’s decision in 1914 to refuse entry to the Komagata Maru. The ship, carrying 376 mostly Sikh passengers from Punjab, British India was turned away after two months of being refused entry at the Vancouver ports. 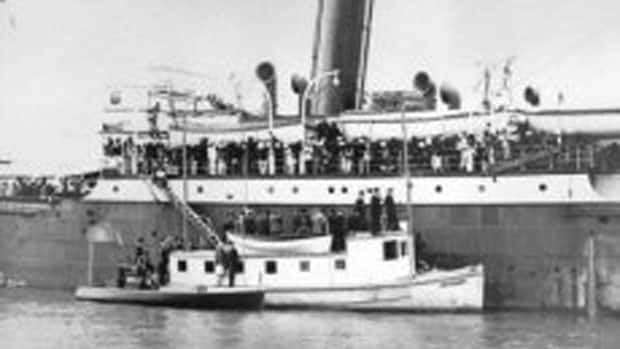 The WSO has reached out to provincial minsters of education across Canada, calling for the Komagata Maru tragedy and the racist immigration policy behind the incident to be made part of school curricula. 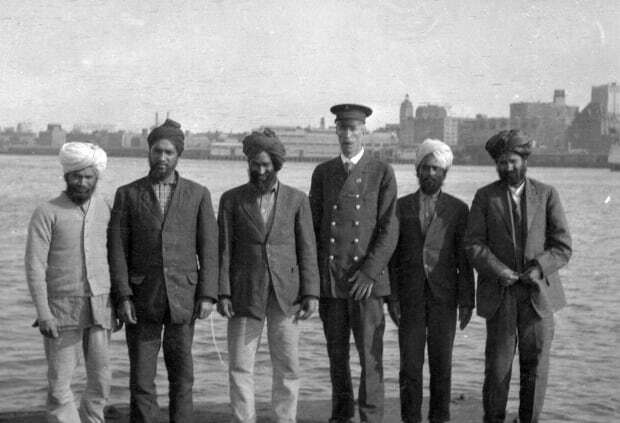 The Komagata Maru and its passengers, despite being British subjects, were denied entry due to racist immigration controls established by the Canadian government to exclude non-European immigrants. In response to race riots and “anti-Asiatic” parades, driven by fears that Canada would be overrun by Asian immigration, the Canadian government passed an Order in Council in 1908 prohibiting immigration of individuals who did not come to Canada via a continuous journey from their country of birth or citizenship. In effect, this law prohibited the entry of all immigrants from India, as a continuous voyage was not possible without a stopover. Other Orders in Council also prohibited the landing of Asian immigrants that did not possess $200 upon arrival. At the same time, Canada was welcoming record levels of European immigration. While Prime Minister Trudeau’s apology in the House of Commons recognizes the “dark chapter” the Komagata Maru incident as well as the exclusionary and racist immigration laws represent in Canadian history, it is important that this chapter is neither forgotten nor ignored. The WSO has written to provincial ministers calling for the Komagata Maru incident to be included in school curricula across the country. NEWTON — A man was sent to hospital after a car was shot up near Bear Creek Park Monday afternoon as Surrey’s relentless shooting spree continues. Surrey has recorded 31 shootings this year so far. This is the third shooting in just three days. No injuries have been reported. Police say they have no suspects and have made no arrests and don’t know if these latest shootings are linked to the others. On Friday, Surrey RCMP revealed a jaw-dropping 28 “shots-fired incidents” since Jan. 1. That’s half of last year’s entire tally in the first three months of 2016. As Opposition MLAs grilled B.C. Public Safety Minister Mike Morris in question period Monday about escalating gun violence, Surrey RCMP was responding to the 31st shooting of 2016. And Burnaby RCMP announced that homicide investigators were being called in after the body of a shooting victim was discovered on Byrne Creek Trail. Surrey MLA Bruce Ralston said police are not doing enough to tackle the violence, which is linked to Metro Vancouver’s drug trade. Since senior Surrey Mounties told reporters Friday that they had implemented successful strategies to combat the violence, there have been three more incidents of public gunplay. The latest came just before 2 p.m. Monday near 86th Avenue and 140th Street. The Monday shooting follows two others over the weekend, one of which left a man with serious injuries. There were 60 shootings in Surrey in all of 2015. Meanwhile the Integrated Homicide Investigation Team was called to the 7300-block of Sandborne Avenue in Burnaby after a body was found Monday. Burnaby RCMP said officers responded to the area about 8 p.m. Sunday after reports of shots fired. “When members arrived on scene they began a search of the area including the Byrne Creek Trail that continued until the following morning. Police confirm a body has now been located,” Sgt. Derek Thibodeau said. Ralston said the RCMP should be asked hard questions about their tactics in investigating the shootings and murders. He said it’s lucky there haven’t been more murders given the number of shootings.